The Bolsheviks immediately faced an array of real and potential opponents in the form of other socialists, anarchists, authoritarian generals and armies, hostile imperialist powers and national minorities, and had to grapple with the far-reaching problems of social and economic breakdown and the war with Germany that had already brought down two governments in 1917. Profound questions about the nature of the new order remained unanswered: what role would the peasantry play? what was the relationship between Soviet power and Bolshevik power? what would the new order look like in social and economic terms? how could socialism be established in such an underdeveloped country? would the anticipated world revolution follow? 1. Question 6 [the second of the two questions for this option on this paper] has always asked about either the October Revolution, or consolidation of power up to 1924. So there is roughly a 50% chance of this topic featuring in the exam. 2. The examiners always require you to treat the period from October 1917-1924 as a unit. There have been no questions focused on specific aspects of this period such as the Civil War. 3. The questions always ask you to explain the “survival of the Bolshevik government” (or their “growing hold on power”, or reasons why “they remained in power”, or similar phrasing. 4. The questions always ask you to evaluate the role of one specific factor in explaining Bolshevik survival: “the weaknesses of their opponents” (June 2009), “Lenin” (January 2010), “the brutality of the Bolsheviks” (January 2011), “Trotsky’s leadership of the Red Army” (June 2012), “the use of violence against their opponents” (January 2013), “Trotsky’s leadership” (June 2014). This indicates very clearly what you need in order to answer questions on this topic: you need to be able to write about a number of different factors and explain how they enabled the Bolsheviks to establish and maintain control of Russia across the years 1917-24. A lot of things happened in the years 1917-24 and the sequence of events can become bewildering if you start to look at it in close detail. Fortunately, the breadth of the time period and the nature of the exam questions means you do not need to possess detailed chronological knowledge of events. Nonetheless it is vital to have a grasp on the overall shape of the period. 1. 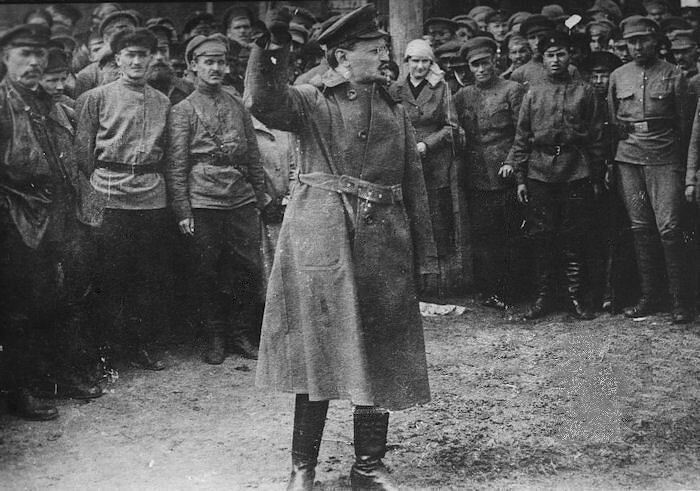 Early measures (October 1917-spring 1918) – the Bolsheviks take a number of measures to overcome immediate problems and establish the new government (creation of Sovnarkom, Decrees on Land and Workers’ Control, dissolution of Constituent Assembly, Treaty of Brest-Litovsk). Note that many of these measures were hasty and shortlived improvisations and should not be accorded too much weight in your overall explanation for Bolshevik success. 2. 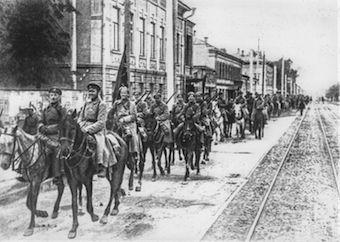 The Civil War (spring 1918-end of 1920) – the Bolsheviks confront, and ultimately defeat, an array of armed opponents (the “White” armies, backed by foreign interventions, and also “Green” peasant autonomists and national separatists). Obviously, victory in this war was a necessary condition for Bolshevik survival and thus the Civil War must feature prominently in your answer to any question on this topic: military victory was the over-riding concern of the Bolshevik government in these years. Note also that the Civil War inflicted profound devastation and destruction on Russia: perhaps 2.7 million died in military action and in atrocities on both sides, starvation and typhus were widespread, and the degree of economic collapse was staggering: in 1921 grain production was 57% of 1913 levels, and industrial production just 14%. In short, the Civil War profoundly shaped the future direction of Communist Russia. 3. The New Economic Policy (1921 onwards) – having defeated their military opponents, the Bolsheviks faced a profound crisis by 1921: economic collapse and famine, dissent within the party, peasant risings (particularly in Tambov province), and most notably the revolt of the Kronstadt garrison. Whilst the Kronstadt sailors were met with harsh repression, Lenin’s strategic response was economic liberalisation in the form of the NEP, which reintroduced private trade and small-scale entrepreneurship, and permitted peasants to sell grain surpluses for profit. Economic liberalisation was not, however, accompanied by political liberalisation. 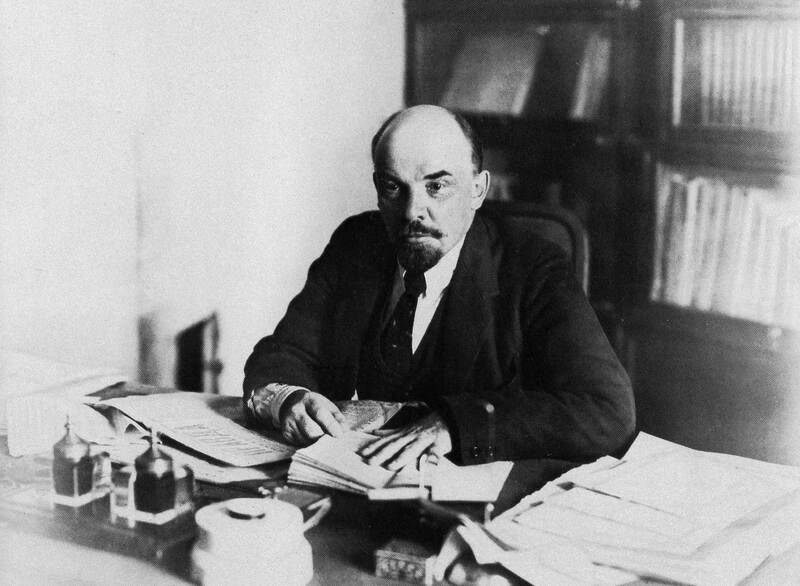 Lenin’s death in January 1924 marks the end of this time period from the point of view of the examiners. – dating – the Bolshevik government adopted the Gregorian (“new style” calendar) in 1918, declaring 13 February (old style) to be 1 February. This brought Russia’s calendar into line with most of the rest of the world and means you don’t really need to worry about discrepancies between dating systems henceforth. – the Bolsheviks renamed themselves the Communist Party (more specifically, the All-Russian Communist Party (Bolsheviks) in 1918. Given that the examiners prefer to refer to them as the Bolsheviks it makes sense for you to do so also. It is quite common to refer to the Bolsheviks as the “Reds” in the context of the Civil War, but there seems no reason to do this other than to make a contrast between the two “colours” of Red and White. Here are some factors that you need to be able to write about. This list is not necessarily exhaustive but it should give you more than enough material to cover any exam questions on this topic. in January 1918 the Constituent Assembly was shut down by Bolshevik troops. This certainly constituted repression carried out by the threat of violence. This was a necessary condition for Bolshevik survival. They had only secured 175 of 682 seats and thus allowing the Assembly to fulfil its role would have meant handing over power to an SR government or forming a socialist coalition – the very path that Lenin had rejected in 1917.
in July 1918 the royal family was executed en masse in a basement in Ekaterinburg. This rendered royalist restoration impossible and removed a potential figurehead for White opposition. It is debated whether these executions were ordered centrally or were the responsibility of the commanders on the spot. repression continued in the age of NEP. 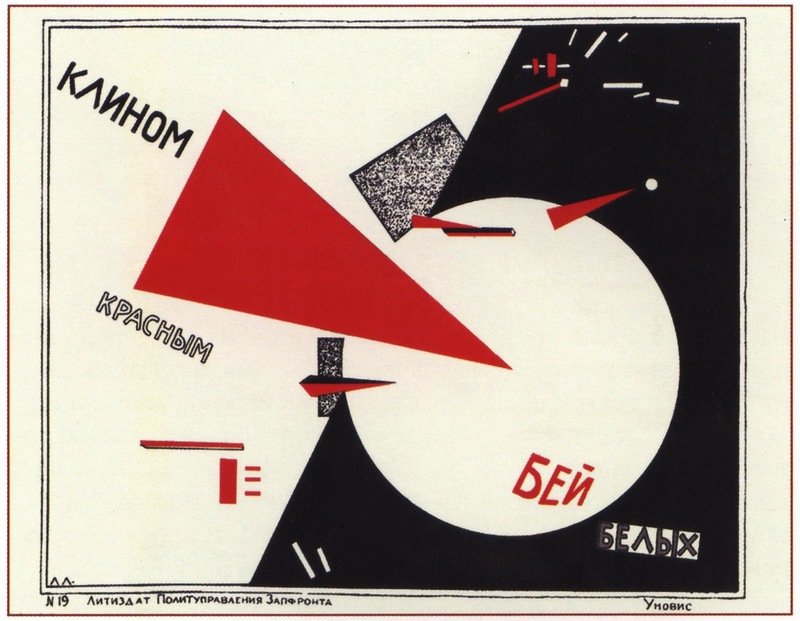 The Cheka was renamed the GPU in 1922, censorship was systematised, and attacks on political opponents continued. In evaluating the role of repression in explaining Bolshevik survival, you could make the point that repressive measures were built into Bolshevik policy from the very outset. You could also make the longer-term argument that coercion remained a central feature of the Soviet state throughout its existence; once it was removed in the 1980s, the USSR fell apart almost immediately. 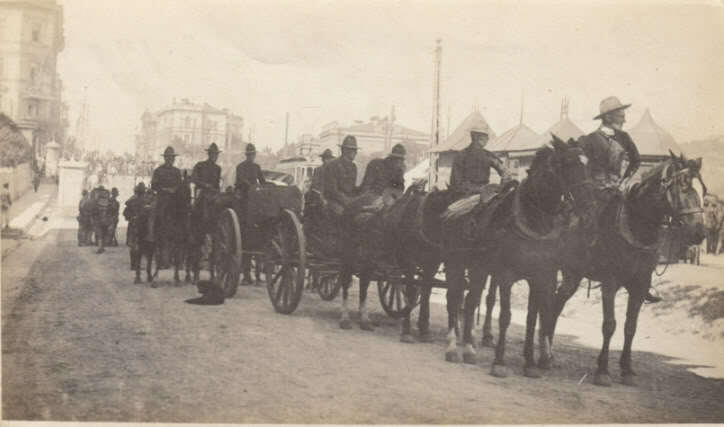 Repression as a factor would be emphasised most heavily by liberal historians hostile to the Soviet Union, and fits with those explanations of the October Revolution that see the whole project of revolution as driven essentially by a small gang of violent and unscrupulous extremists, imposing themselves on Russia by force. the cause of liberalism in Russia was dead, and this is supported by the Constituent Assembly election results in which the Kadets won just 5% of the vote. There was no possibility of the restoration of liberal rule. the cause of the other socialist parties was, however, not dead, and again this is supported by the Constituent Assembly results – the SRs won 53% of the vote (but the Mensheviks just 3%). Why were the SRs unable to mount a substantial challenge to Bolshevik power? You could answer this by pointing to the effectiveness of Bolshevik repression and to the fundamental weakness and divisions within the SRs – a portion of the party (the Left SRs) joined the Bolsheviks in 1918, for instance. the White armies were weak in a variety of ways – they were geographically dispersed, fighting for different causes under different leaders who did not collaborate very effectively (Kolchak, Denikin, Yudenich, Wrangel – it’s worth name-checking this people to show that you know what you are talking about). Perhaps most significantly, they represented the interests of a reactionary military class and stood for anti-semitic pogroms and the return of landlordism and authoritarian rule. 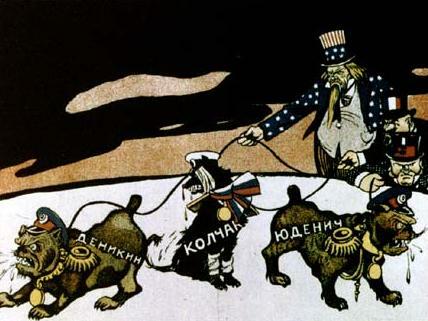 although in theory a vast array of imperialist powers were committed to strangling the Bolshevik regime at birth, and 14 foreign powers did intervene in Russia with troops and supplies, as it turned out this foreign support for the Whites was half-hearted (the populations of the western allies were war-weary and would not have stood for an intensification of intervention against the new workers’ state) and enabled the Bolsheviks to present themselves as the patriotic defenders of Russia against external invasion. overall you could perhaps argue that the elements of the opposition that might have built popular support (the SRs) lacked military strength, whereas those elements with the military strength (the White armies) were deeply unpopular. Trotsky arguably played the central role in ensuring Bolshevik victory in the Civil War. As Commissar for War, he organised the Red Army and built it into a formidable force of 5 million men by 1921. He took the decisions that restored discipline and professionalism – abolishing soldiers’ committees and election of officers, restoring hierarchy and symbols of hierarchy such as saluting; re-introducing the death penalty for disciplinary offences; employing former Tsarist officers; instituting political commissars to ensure loyalty. He led the campaigns with personal energy, passion and great organisational skill. Famously travelling the country from front to front in his armoured train, he was an inspirational presence where the fighting was fiercest. 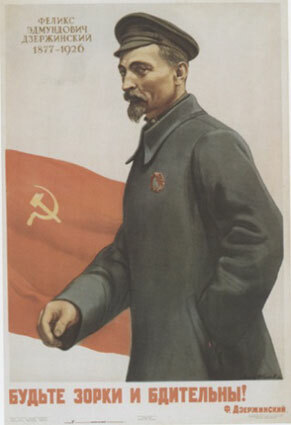 You could cite the example of the defence of Petrograd in October-November 1919 – Lenin was ready to abandon the “home of the revolution” in the face of the White army of Yudenich, but Trotsky disagreed, raced to the front in his train and led the successful repulsion of the Whites. It can seem difficult to identify specific ways in which Lenin contributed to Bolshevik survival. It is broadly true that he constructed and ran the new state and government while Trotsky fought the war (although Lenin was still involved in the war, taking strategic decisions with Trotsky and backing him on crucial controversial decisions such as the reintroduction of Tsarist officers). However, this doesn’t get you very far – if you argue that Lenin took all the decisions, then EVERYTHING the Bolsheviks did in this period must be down to Lenin, and you don’t really have a focused answer. Effectively you have just equated Lenin with the Bolshevik party. the Treaty of Brest-Litovsk with Germany (and her allies). Although negotiations began in December 1917, the treaty was not signed until 3 March 1918. This is largely because Lenin fought a long battle to overcome opponents in his party who rejected a deal with imperialist powers, wishing to fight a revolutionary war against them or await the expected revolutions in central Europe. At times Lenin was in a minority of one in the Bolshevik Central Committee. Yet ultimately, and characteristically, he got his way. Without the Treaty, it is hard to imagine that the Bolsheviks could have survived in the face of the armies of the Central Powers. the NEP. Again, Lenin faced opposition in his party to the pragmatic compromise of reintroducing capitalism and appeasing the peasantry, Again, Lenin got his way. Again, you can argue that these concessions were essential in enabling the Bolsheviks to overcome the crisis of 1921, and that without the NEP the economy would simply have collapsed and the Bolsheviks would have been overwhelmed by peasant risings. The common theme here is pragmatism. You can argue that this is the hallmark of Lenin’s political genius – the vision to take pragmatic and difficult, but vital, decisions. Another example of Bolshevik pragmatism would be the decision in 1917 to legitimise peasant land-seizures in the Decree on Land (again, arguably a compromise of principle). Overall on Lenin, you can also make the argument that in the years 1917-24 the Bolsheviks were ultimately successful because of the messianic self-belief and supreme confidence that they possessed as an institution – this arguably stemmed from Lenin, as did the organisational capacity the party demonstrated in transforming itself from a revolutionary opposition into an institution for governing the world’s largest country. As with the October Revolution, you need to be very careful if you write about Bolshevik popularity. It is clear that the Bolsheviks did not command direct and overwhelming support at any point in this period, as the evidence of the Constituent Assembly elections from 1917, and the risings in 1921, demonstrate. It would be a mistake to argue that the Decrees on Land and on Workers’ Control in 1917 secured worker and peasant support for the new order – these were hasty recognitions of a de facto situation that were rapidly overtaken by events: industrial labour was soon militarised as part of War Communism, while peasants may have kept their land but were subjected to grain requisitioning backed up by violent force throughout the Civil War. 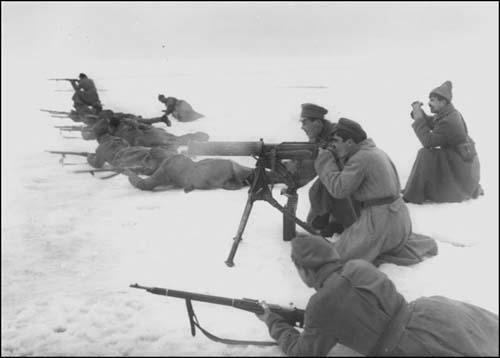 However, you could still argue that the Bolsheviks were able to mobilise ENOUGH support to survive, despite what could increasingly be seen as their betrayal of the principles of the popular movements of 1917: from a segment of the working class, from groups such as the Kronstadt sailors (up to 1921 at least), and perhaps crucially from the peasantry. Orlando Figes argues that the decisive factor in the Civil War was the peasantry, as the source of both food and manpower, and that for the peasants, because the Whites stood for the reversal of land redistribution, the Bolsheviks were the lesser of two evils. Follow the basic principles of A level essay writing. Identify the factor stated in the question. Devote up to half of your answer explaining with detail how this factor contributed to Bolshevik survival, and evaluate its overall importance. Discuss perhaps two other factors and evaluate their importance against that of the stated factor. Think carefully – what do you think is the most important reason for Bolshevik survival? If you have a view on this before you enter the exam room, it will save you time and will help you construct a sustained argument. You might, for instance, feel that the Bolsheviks did establish a brutal dictatorship supported primarily by force and terror, and thus emphasise repression as the key element. You might conclude that Lenin was instrumental – that the Bolshevik party, and the Soviet Union, were ultimately his creation. There are many possibilities. This entry was posted in AS revision notes, Russia and tagged AS revision, history, Lenin, revolution, Russia, Trotsky, USSR by therationalcolonel. Bookmark the permalink. thank you so much this is extremely helpful! Glad you are finding it useful. Are you resitting the Edexcel AS paper this year? Be aware, then, that the material on this website is designed around the old Edexcel course – you must be studying the new one – so what I say about past questions, for instance, won’t apply to you. The content should help though. Best wishes. This is so incredibly helpful! Thank you! Glad you like it – thanks for the feedback. Are you sitting the exam tomorrow?